How to remove the heartburn? 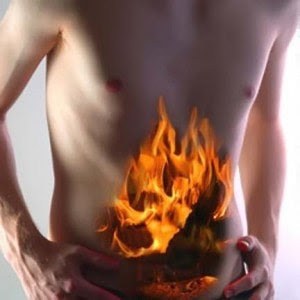 Some people have increased secretion of gastric acid, which is accompanied by abdominal pain and inevitable heartburn. Feeling burning of the oesophagus and in the stomach is quite unpleasant and painful, and sometimes even drugs can not alleviate these symptoms. Try to prepare a simple natural product to relieve heartburn. It is interesting juice, with only two ingredients that you have in the kitchen every day. Peel off the bark from apple and potato. Shredded potatoes or put in a blender to chop and drain superfluous juice out of it. Also do it again, with apple (shredded and squeeze the juice). Mixed these two juices in a glass, stir to equalize the juice of potato and apple juice, and drink twice a day, like one hour before eating. You can use this juice daily, because there are no side effects, and use it until you see that heartburn left you.